CAIRO - Many Egyptians failed to vote in a presidential election on Wednesday despite official efforts to boost turnout with an extra day of polling, raising doubts about the level of support for the man still forecast to win, former army chief Abdel Fattah al-Sissi. 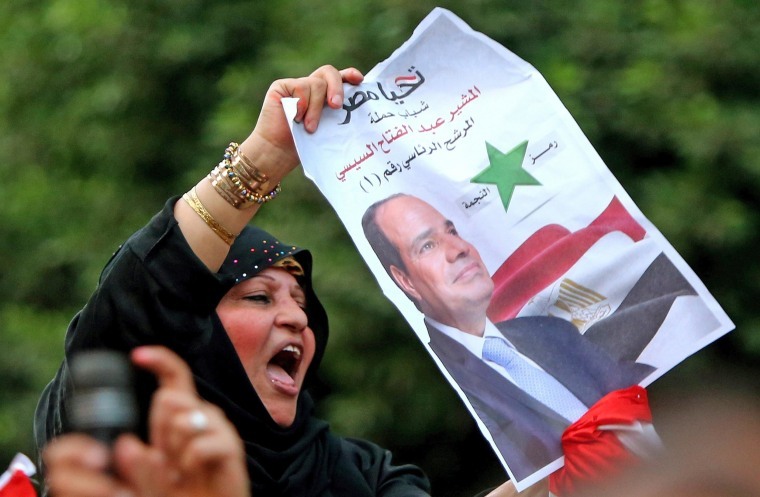 A low turnout would sound a warning to Sissi that he had failed to achieve the resounding mandate he sought after toppling Egypt's first freely elected president, Islamist Mohamed Mursi, following street protests last year. A tour of Cairo polling stations on Wednesday suggested authorities would again struggle to get more people to cast their ballots. The same pattern emerged in Egypt's second city, Alexandria, Reuters reporters said. In a country polarized since a popular uprising toppled Hosni Mubarak in 2011, the low turnout was linked to political apathy, opposition to another military man becoming president, discontent at suppression of freedoms among liberal youth, and calls for a boycott by Islamists. After months of adulation by the media encouraged by his supporters in government, the security services and business, many Egyptians were shocked when the election failed to produce mass support for Sissi, who had called for a turnout of 40 million, or 80 percent of the electorate. The two-day vote was originally due to conclude on Tuesday but was extended until 9 p.m. local time (4 p.m. ET) Wednesday to allow the "greatest number possible" to vote, state media reported. "The state searches for a vote," said a front-page headline in privately owned Al-Masry Al-Youm newspaper. Despite an official campaign to bring out more voters, polling places were thinly attended. An army officer reading a newspaper outside one polling station said: "You want to speak with voters? Do you see any voters? I don't know why they're not coming, maybe they reject politics." The Muslim Brotherhood, believed to have one million members, has rejected the poll, describing it as an extension of the army takeover.